On May 1, The Inn at Bay Harbor will be totally redecorated. All rooms, corridors, public spaces and landscaping will have been refreshed. This lakeside Master Suite has everything you need for the perfect little vacation home. Stunning views of Lake Michigan and incredible sunsets. 2nd floor is off the main level but easy to to take the stairs and avoid the elevators. The bell and reception staff will welcome you home upon your arrival and you will rest assured knowing everything is taken care of for you. Rental revenue when you are not in residence helps pay for the taxes and dues. 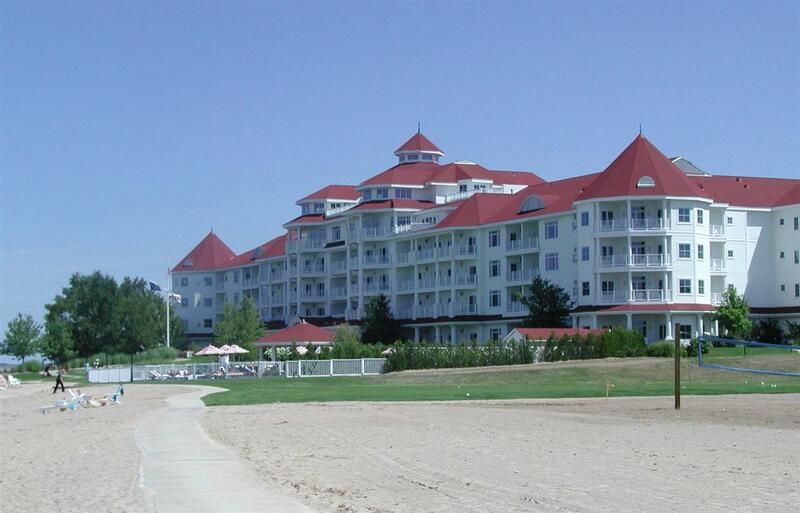 Enjoy everything The Inn, Boyne and Bay Harbor has to offer with minimal investment..